Engaging stories, laughs and lager – what a great way to spend an afternoon! 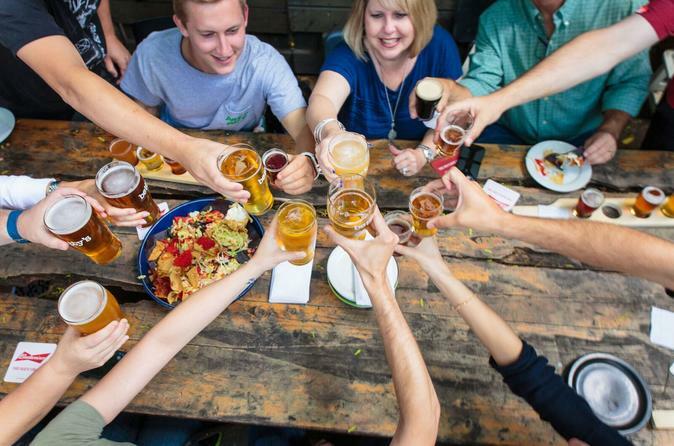 On this 4-hour small-group walking tour, learn how Canadian beer ties into the rich history of Toronto. Take a walk through Old Toronto with your professional local guide and discover the history of Canadian beer, especially regional craft brews. Visit three historical pubs -- including the Mill Street Brewery -- each with its own unique character and great selection of beer. Then, visit the St Lawrence Market to sample some Canadian specialties, including Ontario wines and artisan mustard, before touring the Distillery District, an old industrial park and whiskey factory now converted into a hub of art, culture and cuisine. Along the way, learn interesting facts and stories about the role beer has played through the decades in helping Toronto citizens cope with cholera, fire disasters, war, depression, rebellions, muddy streets and general Victorian stuffiness.